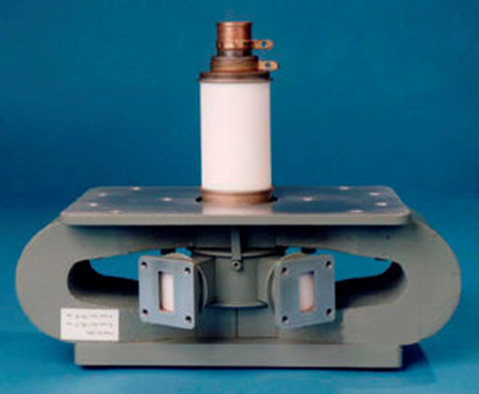 High and Low power RF and Microwave radar systems require materials exhibiting low dielectric constants and very low dielectric loss factors, otherwise referred to as dissipation factor or tan σ. Beryllium Oxide is most often the material selected for these requirements by virtue of its low dielectric loss. Since BeO is transparent to Microwaves, it may be used as windows, radomes, and antennas for Microwave communication systems and high power industrial Microwave ovens. Furthermore BeO exhibits appropriate mechanical strength and dielectric strength when used in high power, high frequency applications. Thermal management of RF and Microwave circuitry is growing more challenging as the power densities of newer high-frequency transistors continue to so dramatically increase. Thermal management in high-frequency circuits depends upon the careful choice of circuit and packaging materials to remove heat such that the required high performance levels can be achieved. RF and Microwave components, circuits, and systems must be designed so that sensitive areas that can suffer damage or performance degradation from heat are minimized. Providing the right mix of thermally conductive materials to extract heat from an active source, such as a power transistor, or a thermal pathway from a transmission line or circuit trace may at times be challenging. For some designs, the addition of components that improve thermal management such as a heat sink added to an amplifier may thwart efforts at making packages as small as possible. Understanding the heat flow through electronic configurations can help improve the overall performance and reliability of that design. Most Microwave electronic components, circuits, and systems are best lower operated at lower temperature. That usually translates into improved performance and reliability. 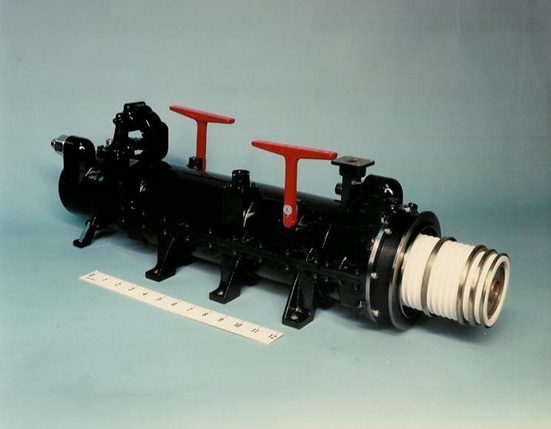 The flow of heat through a high-frequency circuit can involve various input and output connectors and/or waveguide components. However most Microwave components and systems are built upon printed-circuit-board (PCB) materials and rely heavily on them for thermal management. 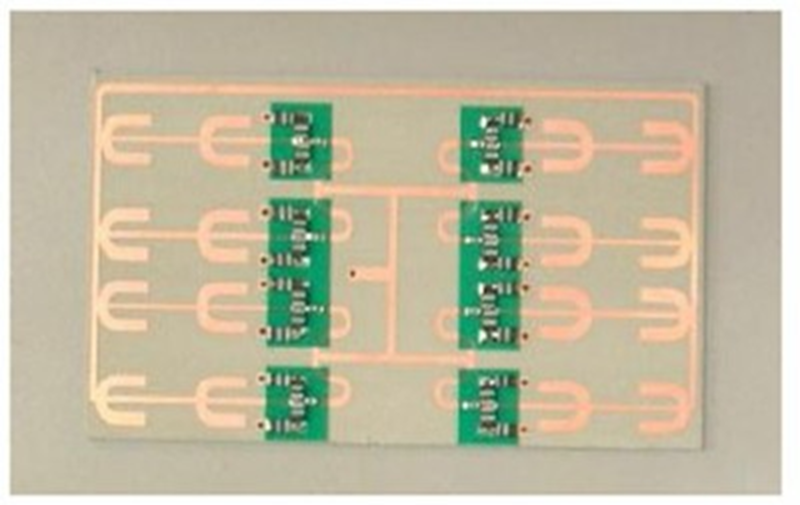 Heat applied to or generated within the PCB material must flow away from it and its active devices. That heat must subsequently be dispersed in the equipment packaging, heat sinks, and ambient air. The choice of Beryllium Oxide as the PCB material is a key for thermal management in RF and Microwave high-power circuits and systems. Beryllium Oxide can handle large amounts of energy with minimal loss of energy in on-circuit devices such as transistors or external sources such as amplifiers from another circuit. Circuits with high amounts of energy loss transform that energy into heat, and that heat must be effectively dissipated to ensure the reliability of the circuit. An RF or Microwave device must be constructed with dielectric materials and conductive metals, such as copper, to transfer high-frequency signals with minimal loss and distortion. Because Beryllium Oxide will expand and contract with changing temperatures, caused by the heating effects of lost energy, components of the device usually have closely matched coefficients of thermal expansion (CTE). Dielectric materials and copper conductors will need to expand at the same rate when power is applied or generated within a circuit. Therefore hybrid designs using a Beryllium Oxide dielectric and engineered with conductors that are closely matched minimizes possible stresses that can occur at joints between the conductors and the dielectric materials as they expand and contract. Circuit design can also contribute to its thermal management. Incorporating Beryllium Oxide thermal management subsystems can provide thermal paths from an active heat source, such as a power transistor, through the circuit dielectric layer or layers to a metal ground plane, dissipating the heat produced by the active device. Manufacturers of RF/Microwave integrated circuits incorporated into surface-mount housings typically provide instructions for their devices in terms of proper heat flow away from the component and through the Beryllium Oxide substrate. The number of solder-filled vias, their diameters, and their density on the Beryllia substrate are often specified for a particular active device to ensure that sufficient thermal flow is achieved through the substrate and to the ground plane, while assuring the device is fit for manufacturing. Some surface-mount component manufacturers as well provide measurements of the thermal resistance from the package junction to the heat sink. 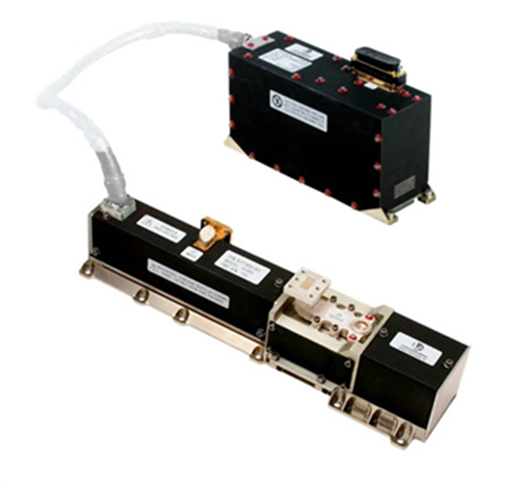 The thermal conductivity, of the Beryllia, which in the range of 265 -300 W/mK, provides some indication of its effectiveness in dissipating heat, since this is the measure of the Beryllia capability to conduct heat. It can be used to compare the different rates of energy loss as heat through different materials. Quite simply, the Beryllium Oxide which has a high value of thermal conductivity enables a circuit to operate at higher power levels with better heat flow away from active devices than does a material with lower value of thermal conductivity. In devices having a conductor, such as copper, which has very high value of thermal conductivity, approximately 400 W/mK, which has been integrated with Beryllia yield a package having dielectric material of very low loss value and very high thermal conductivity. In fact, the Beryllia dielectric material serves as the thermal conductor as well as electrical insulator. 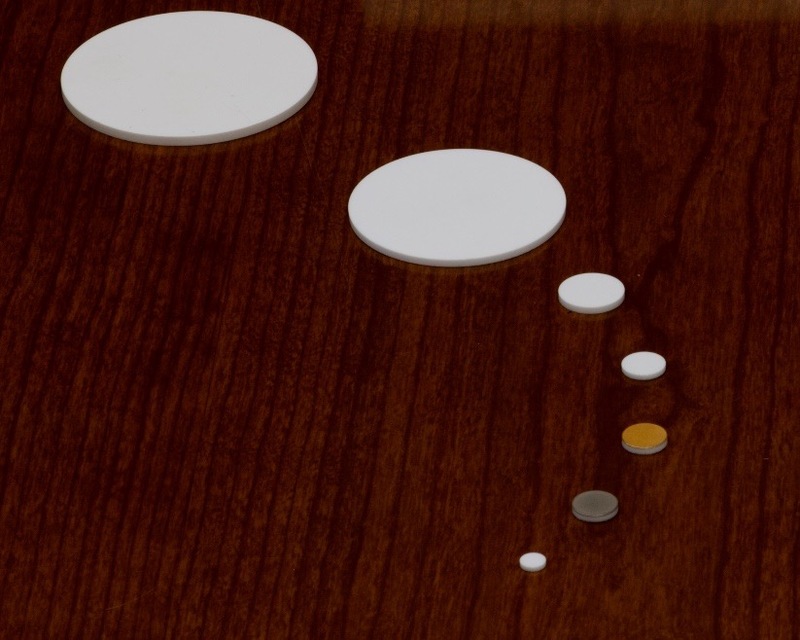 The use of Beryllium Oxide substrate materials can help the flow and dissipation of heat from the top circuit layer through the dielectric layer to the bottom ground layer. In addition, different material products can be compared by their composite thermal conductivity values, when comparing different materials for high-power applications where the goal is to minimize operating temperature. Controlling the temperature in high-frequency circuits has a direct impact on device performance since the relative dielectric constant of the Beryllia varies as a function of temperature. This quality is characterized by the thermal coefficient of dielectric constant, a parameter usually defined in units of ppm/°C. Because changes in a material dielectric constant result in changes the impedance of a RF or Microwave circuit, typically maintained at 50Ω, it is critical to minimize temperature effects at high frequencies and high signal power levels to minimize signal reflections at mismatched impedances, which can lead to amplitude losses and phase distortions. Tightly controlled thermal coefficient of dielectric constant and CTE characteristics are indicators that the material will deliver high levels of performance, with minimal swings in temperature, when handling high power levels. 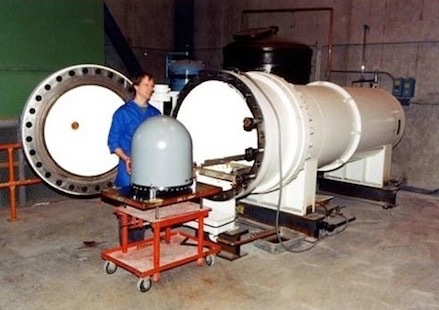 In some extremely high-power applications, such as radar and electronic-warfare EW systems, designers are faced with integration and thermal management of a high-power vacuum electron device such as traveling-wave tubes (TWT) or magnetrons. Oftentimes multiple water baths are necessary to safely transfer the heat produced by these devices away from the devices themselves and critical components within their systems. 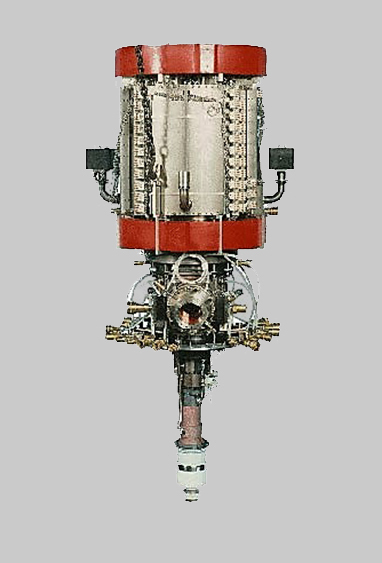 The integration of Beryllium Oxide integrated thermal management subsystems are crucial. Designed within an active thermal management construct both air and coolants can provide the required thermal dissipation capacity to assure optimal performance. Thermal management should be a high-level priority for any high-frequency design intended for high long-term reliability, especially if that design must operate at higher power levels. 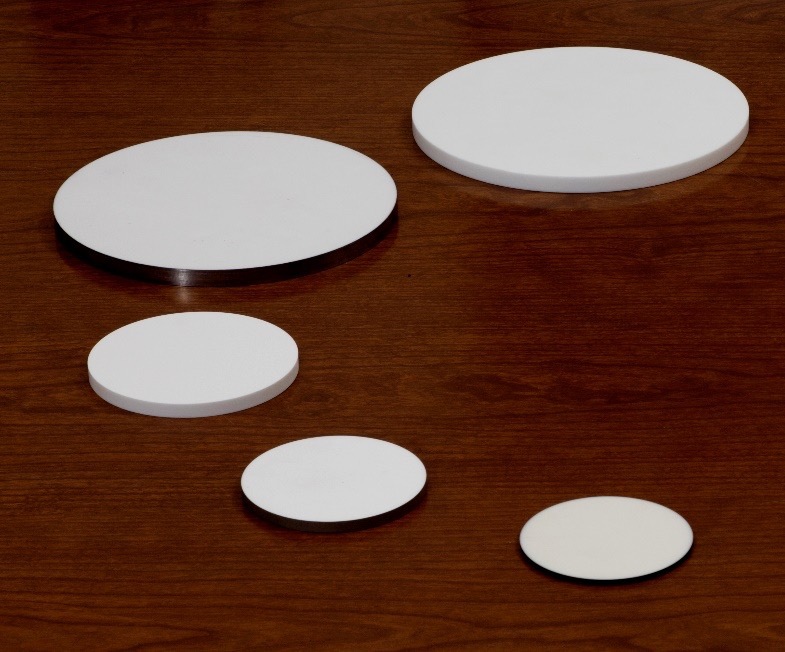 A wide range of substrate material products are currently available, with a wide range of performance parameters including low loss and high thermal conductivity. These include and are not limited to Beryllium Oxide, Aluminum Nitride, and Diamond. Newer RF power semiconductor devices, such as gallium-nitride-on-silicon-carbide (GaN-on-SiC) power transistors, are challenging the best designers of "thermally responsible" circuits with their extremely high power densities. Therefore materials with higher thermal conductivities are being sought in place of or in addition to traditional substrate materials as a means of channeling heat away from these high-power-density semiconductor devices. The two-pronged challenge is in finding a heat spreader material that has a CTE close in value to the high-power semiconductor material, such as GaN or SiC, but also with high thermal conductivity. Beryllium Oxide is quickly becoming the material of choice for the applications. Beryllium Oxide can handle large amounts of energy with minimal loss, of energy in on-circuit devices such as transistors or external sources such as amplifiers from another circuit. The thermal coefficient of dielectric constant and CTE characteristics of Beryllium Oxide ensures delivery of high levels of performance, with minimal swings in temperature when used in high power microwave systems.